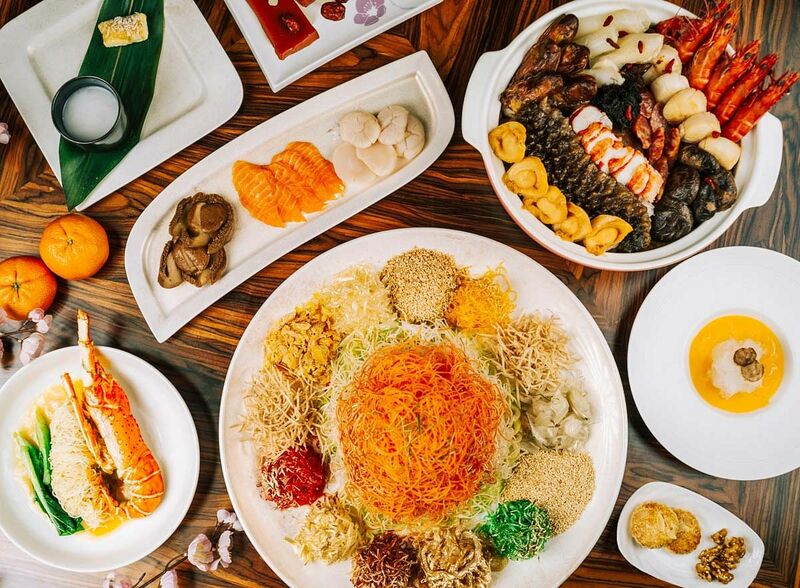 You can't go wrong by ringing in the Chinese New Year with a feast at Man Fu Yuan at InterContinental Singapore. With more than two decades of delighting diners, you will be treating your taste buds to a gastronomic journey with the Chinese fine dining restaurant's signature dishes and extensive dim sum selection. This festive season, the establishment is launching five new prix-fixe menus — Prosperity, Success, Abundance, Harmony and Fortune — from Feb 1 to March 2. Starting from $128 per person (price varies according to the chosen menu), they are thoughtfully designed by executive chef Eric Neo to cater to different group sizes. Satiate your inner gourmand with menu highlights such as the Prosperity Yusheng with Hokkaido scallops, salmon and sake goma sesame sauce, and Man Fu Yuan signature Chinese tea-smoked duck with dang gui. For pure indulgence, go for the Man Fu Yuan Abundance Treasure Pot with 18 premium ingredients including house-made braised sea cucumber with minced prawn and pork, Canadian lobster, Hokkaido scallops, sea whelk, fish maw and pig trotters. End your meal on a sweet note with a refreshing chilled bird’s nest and gula melaka nian gao pastry. For discerning diners seeking classic dishes updated with a delightful twist, check out the restaurant’s braised bird’s nest soup with deer antlers and crab roe, crispy noodles with lobster, braised green lip abalone with fish maw, double-boiled black truffle soup, and superior bird’s nest. If you prefer smaller bites over a wider variety, zero in on the CNY Dim Sum menu, which is only available for lunch from Feb 1 to 14, 16 to 18, 24 and 25. The Chinese New Year is also an ideal time to show appreciation for close friends, relatives and business associates. 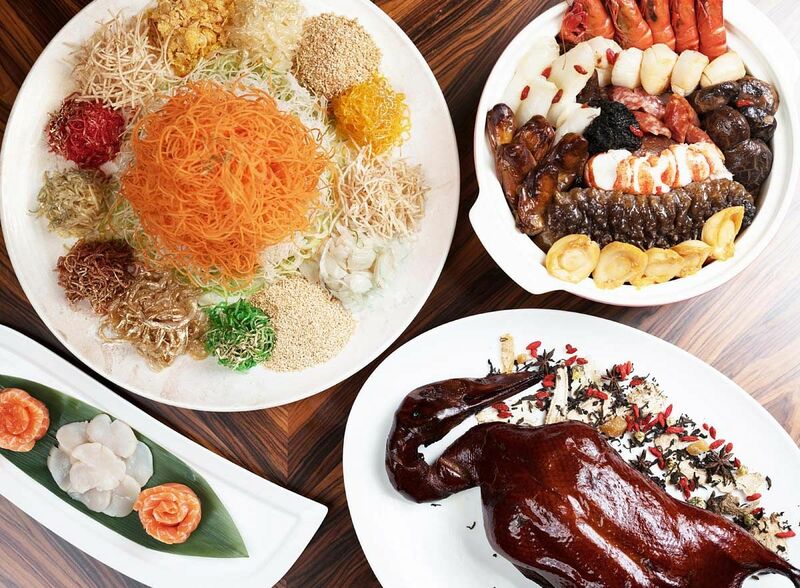 Add to their feasts at home with luxurious gifts like the Man Fu Yuan Abundance Treasure Pot, or the Triple Happiness feast comprising three of the restaurant’s signature dishes for 10 guests. You can also offer your well wishes along with the Prosperity Gift Hamper (available from Jan 5 to March 2) packed with a delectable mix of savoury and sweet treats such as superior bird’s nest, abalone, Riondo Sesto Senso Prosecco, house-made pineapple tarts, almond cookies and nian gao. Enjoy a 15 per cent early bird discount when you place your orders between Jan 5 and 31. Receive an additional 5 per cent when you order online at InterContinentalShoppe.sg. Orders take three working days to process. Collection of your festive goodies can be made at Man Fu Yuan Shoppe at the hotel’s entrance at Bugis Junction from Jan 21 to Feb 14, and at Man Fu Yuan restaurant on Level 2 from Feb 15 to March 2. For enquiries or reservations, please e-mail sinhb-festive@ihg.com, visit ManFuYuan.sg or call 6825-1131.